Gorillaz is an English band created by Damon Albarn and Jamie Hewlett in 1998 that features four animated characters: 2D as main vocals, Murdoc as bass guitarist, Noodle as the guitarist, and Russell Hobbs as drums and percussion. In this post we’ll be focusing on 2D who as we said above is the band’s main vocals as well as playing the keyboard. His voice comes from Blur ban member and founder of Gorillaz: Damon Albarn, and is know for having a large singing range. Yesterday we showed you how to put together Noodle’s outfit, so it only made sense that today we’d do a 2D Gorillaz cosplay tutorial for you. This would make the ideal couples costume or for those in groups. So without further ado let’s get into the guide. There are several different outfits 2D is known for wearing but we’ve gone with the outfit most people cosplay as which consists of: sailor hat, blue spikey hair, blacked out eyes and teeth, black and white striped shirt and red bandanna. 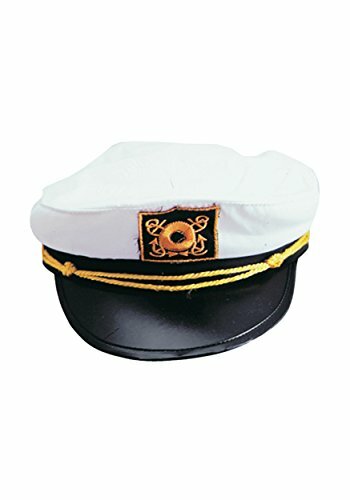 So of course the first item you’ll need to begin transforming into this character is a sailor captain hat. Underneath the cap you’ll need to wear a blue wig. 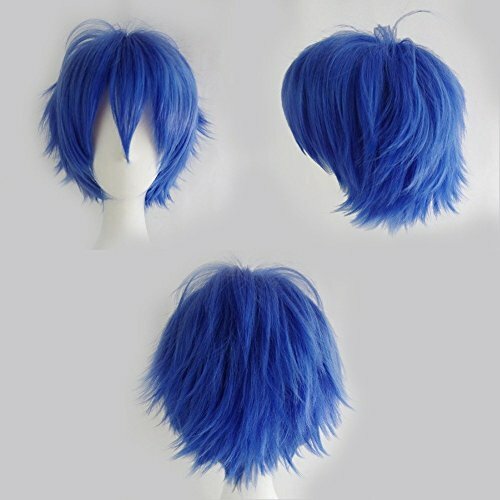 In this case we’ve picked out a short fluffy wig in an anime style. You could also dye your hair blue if you prefer and style it spikey with gel. Either way is fine but do whatever works best for you. 2D stands out with completely blacked out eyeballs, you can recreate this with black sclera contact lenses if you want. Alternatively black out your eyelids and keep them shut for full effect when taking photos. Another detail is his blacked out front teeth. 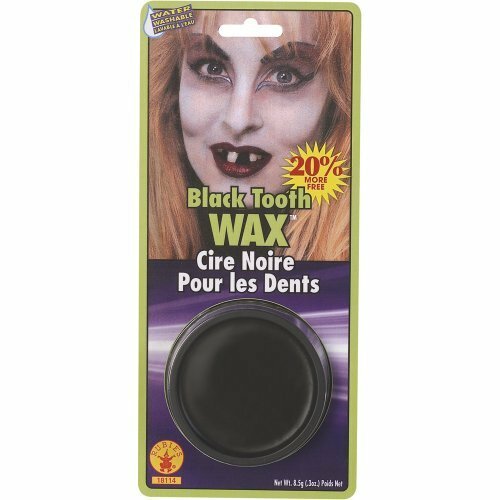 I assume knocking your teeth out is a little too far for a cosplay which is why this tooth wax will be perfect in temporarily blotting out your teeth for the night. 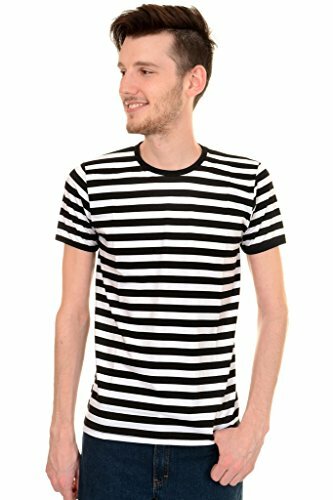 Then add a stripy black and white shirt, here we have a stripy top for men although there are options available for women too. 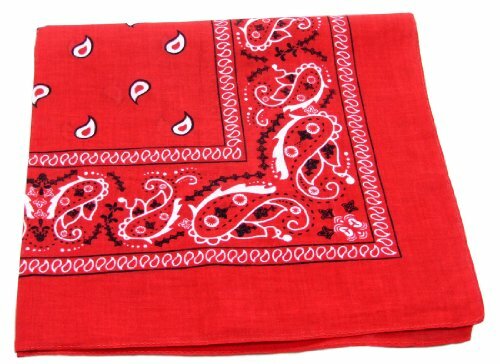 Then accessorize with a red bandanna tied around your neck area. What’s so great about this cosplay idea is a lot of these items are probably already in your exsitng closet. Finish with a pair of blue denim jeans (perhaps a pair you already own) and a pair of black and white converse shoes. If you don’t already own these items you can purchase them affordably offline at your local thrift store or online at Amazon. This section is completely optional but will help bring the whole look together, here is a simple makeup tutorial for 2D that also shows you how to insert sclera contact lenses (if you chose to wear them). Watch the video or read the text below if you prefer. The artist starts this tutorial by blocking out the eyebrows. Once you’ve finished that process you can begin with a panstick which is pale enough for this character, the artist uses: Kryolan TV Paint Stick in 1W. Put some on a brush first and apply to your eyebrows. Then using the stick itself cover your entire face and blend out with a brush and set with powder. Now onto your eyes and its time to recreate 2D’s blue smoky eye look. 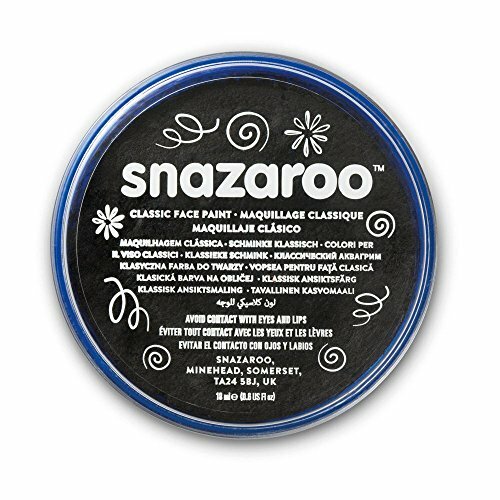 Leave your lids completely clear but color the crease with a dark blue then fade out with a lighter blue. Next draw the eyebrows out using black crème paint and taper off the edges with a felt eyeliner pen. Add your contact lenses if you’ve opted for those, a wig, black out the teeth and you’re ready to go. That is everything you’ll need to transform into your favourite Gorillaz’s character. Don’t forget we also have a tutorial for Noodle’s outfit that would make the perfect pairing for Halloween and even better as part of a group cosplay. Before you leave be sure to check out our other tutorials and if you’d like to keep updated on our blog follow us on social media. Until then, make sure to have fun!